Do you have a stag or hen weekend coming up, or your group of friends are going to a festival this summer. Maybe your team needs new training tops? No matter what the reason is, you can win 25 t-shirts personalised thanks to The Embroidered & Printed Clothing Company. 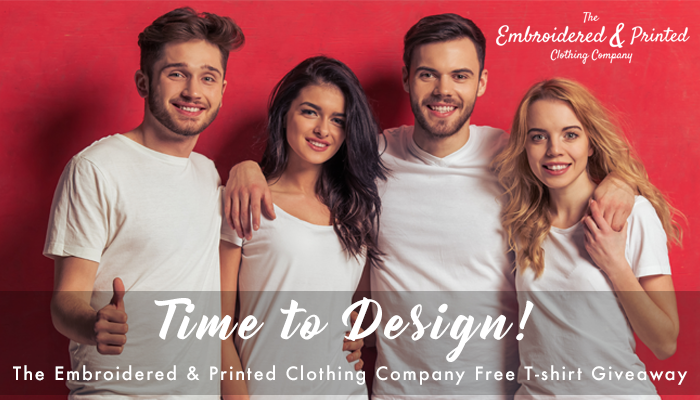 The Embroidered & Printed Clothing Company is one of the leading manufacturers and suppliers of embroidered garments, printed clothing, retail merchandise, workwear and corporate clothing in the whole country. They have a huge selection of clothing in a variety of styles, colours and fits to suit everyone’s specific needs. To be in with the chance of winning this amazing competition, all you have to do is fill in the quick contact competition form on their website, and in the enquiry detail box write a reason why you would like to win. The competition ends on the 16th March 2017. Make sure you enter your details correctly so when the winner is picked at random they can get in touch with the good news! Fantastic competition. Is it bad that my reason for winning is so that I can wear them with my fellow school mums. We have formed a Friday night wine club!